Are you ready for a change of scenery? A move is the perfect solution. From the east coast to the west coast and everywhere in-between, your options are endless. Have you ever considered Albuquerque? The city is one of the most populous cities in the United States, being home to over half a million people. 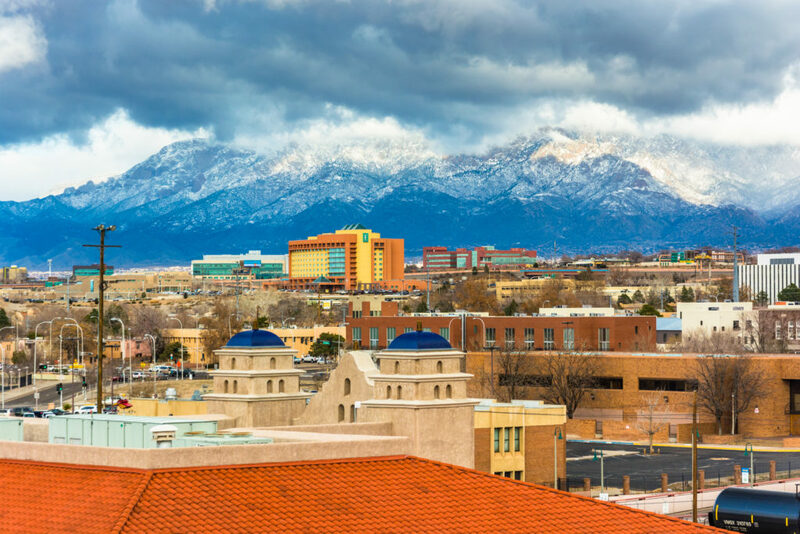 Not only is Albuquerque rich in history and culture, it also offers its residents and visitors some of the most breathtaking views of the mountains. You may not picture lush greenery and beautiful flowers when you think of the desert, but you will be proven wrong. Just go to Albuquerque’s Botanical Garden and see for yourself. The city was even the setting of a popular television show, Breaking Bad. Have we convinced yet that Albuquerque might be worth a visit? If you are planning a move or vacation to New Mexico, use auto transport services. Not only can you save time and money, but you could save yourself the headache that comes along with traveling long distances. Learn more about New Mexico Car Shipping. When it comes to traveling long-distances, you have two main options on how you choose to get your car to your destination. You could choose to drive the car, yourself, but this would require a lot of time and effort. On the other hand, you could hire an auto transport company to do the work for you. Here are a few reasons why you should choose a car shipping company to ship your car, rather than do it yourself. Protect Your Car. One of the main reasons why people choose to ship their car is because it is less risky than driving. Auto transport prevents the accumulation of hundreds or thousands of miles. Using car shipping services also spares your car wear and tear, and if you use enclosed auto transport, your vehicle will be protected from the weather. Less Stress On You. Driving for hours in the car can be stressful. Hiring an auto transport company means less thing off your To-Do list, making your moving experience more enjoyable. Miss Less Work. If you are relocating to another state because of a job, using car shipping services will help you use the most of your time. Instead of spending time driving to your destination and using valuable vacation days, you can fly to your new city, cutting your travel time significantly. Learn more about Corporate Car Relocation. Before moving to Albuquerque, here are a few things that you might want to know. The cost of living in Albuquerque is below the national average. Not only is housing cheaper, but other goods tend to run less than the national average, as well. You will not break the bank getting groceries, paying for transportation, or paying your utility bills. Due to the housing costs and cost of goods, you do not need to make a fortune to live a comfortable lifestyle. In fact, the median annual salary for Albuquerque residents is slightly over $50,000. These things, in part, are what makes Albuquerque one of the top 100 metro areas to live in within the United States. In Albuquerque, you will be able to enjoy all four seasons. However, all seasons will be fairly mild. Just when you think summer has become too hot, the monsoons will come and cool everything down. July is the hottest month with average temperatures between 85 and 90 degrees. During winter, you can expect a few good snow storms, but the snow will melt quickly because the average in January, the coldest month, is just 35 to 40 degrees. Overall, you can expect the majority of the days to be full of sunshine. This is perfect for people who love to be outdoors and go on adventures. It is also great for people who do not enjoy the harsh winters that some states get. Albuquerque has a slightly older population. The low cost of living and the weather make it one of the more popular retirement destinations. However, this is not to say that if you are younger you will not fit in. Many households have children younger than 18 years old and a third of the population is between the ages of 18 and 44. Albuquerque has a very rich history of Native American and Spanish influence. Because of this, many of the people are from these nationalities. While Albuquerque has a little bit more of a laid back feel, there are still several things to do and enjoy. Old Town – Old Town is the original city settlement from the 1700s. The Spanish and Native American cultures have shaped it to be what it is today. You can spend hours walking the streets, meeting people, dining at local restaurants, and shopping at the small businesses owned by the locals. Old Town is also home to the oldest building in Albuquerque – The Church of San Felipe de Neri. Sandia Peak Tramway – The tramway is one of the best ways to see Albuquerque. Cable cars take visitors up the mountain of Sandia Peak. Once up there, visitors can view nearly 11,000 miles of land, visit the restaurants, hike, and ski. The ABQ BioPark – The ABQ BioPark is home to the aquarium, botanical garden, zoo, and Tingley Beach. It is a great way to enjoy the outdoors, especially for people who are not a big fan of nature trails and strenuous hikes. National Dispatch is a nationwide auto transport company. We ship cars anywhere in the country for people moving to new homes, going on extended vacations, purchasing a car out-of-state, and more. If you are in need of car transport services, request a free, instant car shipping quote using our online quote calculator. No personal information is required. Fill in four fields of information: vehicle make, vehicle model, pickup location, and delivery location. It’s that easy! If you prefer to speak with someone by phone, call us at toll-free 800-321-2051.